Moving from London to France is an exciting time for you and is a new, prosperous challenge in your life which will no doubt bring you a lot of joy, happiness, success and great memories in the long-run, which is why you should start of the relocation in a positive and stress free manner by hiring a professional removals company such as our fantastic removals company. Our company is called Moving Service and we offer high quality, reasonably priced relocation deals which come as a package deal that is made to suit you and your move to France. Relocating is not always easy, as there are probably many other issues which you may have to deal with both prior to the removal going ahead and also after you arrive at your new property or premises, which is why hiring a professional London to France removals company is a sensible option if you want to ensure that you skip out on at least one possibly stressful issue. Our London to France removals can give you all of the security and safety that you will need during the removals process so that you never need to feel stressed about the transportation of your belongings and commercial items. We offer a full list of handy and smart London to France removal services so as to make the transition easier and more effective for you and those who are involved. Why don’t you spare just a few minutes of your time today and give us a call on 020 8746 4402 to find out more about all of the ways in which we can help you to have a successful move! 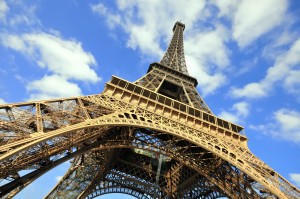 France is a beautiful country which boasts both a traditional side to it as well as a very modern day aspect too. France is a popular destination for holiday makers who wish to go skiing in the Alps, shopping in the capital city of Paris, relaxing in the countryside and enjoying the hot weather and beaches in St. Tropez. There really is nothing that France lacks and does not have, which is why as well as being a popular tourist destination amongst people from all over the world, France is also a very popular place for expats to move to. This northern European country which is located on European mainland is well noted for having an excellent health system and education system. It has the perfect combination of chic city life, as well as traditional French culture which is loved by both the locals and those who visit here. Not many companies give you the choice of when you can or want to move but we do. Not many removal companies will relocate you in an orderly fashion without you needing to be there every step of the way to help the removals team out with the job that they should be able to take care of efficiently but we can! There are endless reasons to hire Moving Service and there are many reasons why we can give you the type of removal services that you need for your forthcoming London to France move but the most important thing is that you call us on 020 8746 4402 and move with us!